can you pls help to file a complaint against police man..
Just write the complaint and submit to the incharge offiier of the policeman against whome you want to file complaint, or file with the SP office against a recept . If nothing happens file an application before Cheif Judicail Magestrate. Thanks Bilal for your valuable suggestiion.. Can you please share the sample format to file a complaint against police? Please check for POLICE COMPLAINT AUTHORITY in your state, as in each state the PCA was to be establsihed in terms of supreme court directions way back 2006. .Till now only Odisha have only specific prescribed format.The Person Can put a complaint by any medium like writing and send it by Post or Fax or submit it in person. The complaint should be lodged ASAP after the incident taken. Who you are complaining about, which includes the name and destination of the police officer. shows that no steps have taken on these complaint. If you hand deliver your complaint, keep a copy of the complaint and the papers you have submitted , as well as date stamped receipt with you as a record. If you send your complaint by registered post, always ensure to send it by registered post AD. The acknowledgment receives received will give you proof of your application being sent by the Authority. If after filing a complaint you can’t a getting a fair hearing you can seek a review of the hearing and/or decision by invoking the writ jurisdiction of the High Courts under Article 226 of the Constitution of India. Excellent Replies by Janab Bilal U Gani. 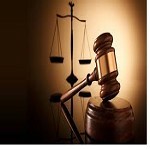 In addition, a Complaint can be filed in the Court of The First Class Judicial Magistrate. No sanction is necessary.